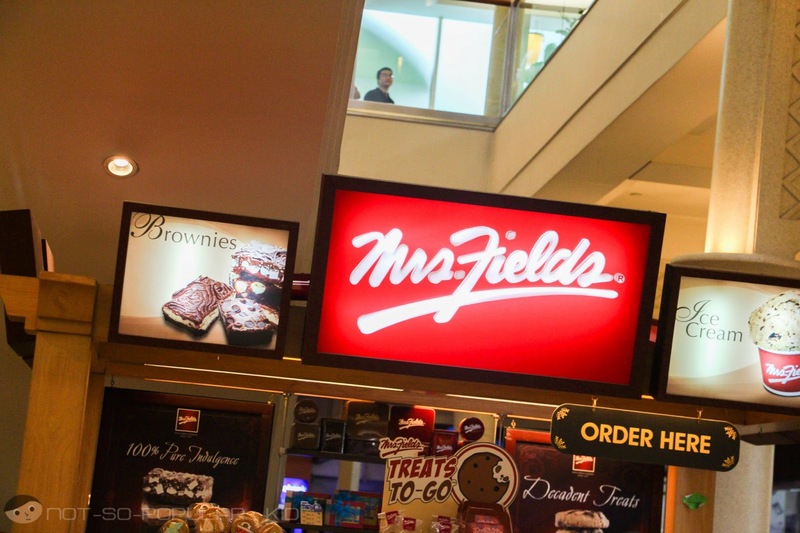 On the same date that we redeemed our free chocolates from ROYCE and dined in Cafe Mediterranean, we claimed another free goodies, but this time from Mrs. Fields! 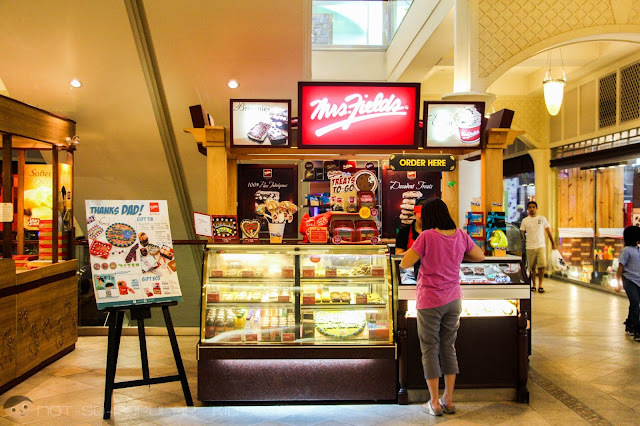 I came up with this quick post to basically share with you what I think of the taste and the price of the nibblers, muffin and brownies, similar to what I did with the post on Royce Chocolates. 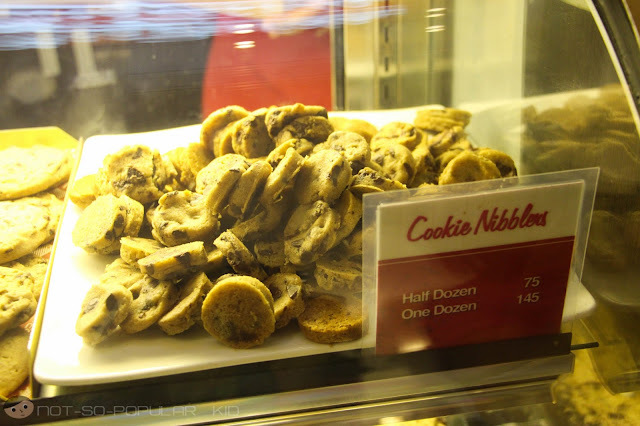 These cookie nibblers seemed so fantastic when I first saw them (except the price - it was blinding). However, I got a little disappointed because they didn't meet much of my expectation. Although I appreciated the taste because they somehow resembled homemade cookies that I adore, it failed to provide me with something else. Perhaps, some surprising variation with the taste would have made it even more enjoyable. The muffins were fine, and I was able to enjoy one as a snack (specifically a chocolate muffin). The texture wasn't that much likable (but forgivable), since it kept on leaving much crumbs as I consumed it. Taste-wise, it was great because of the mild sweetness. The brownies for me were a bit too sweet, and this time the taste was simple in a not-so-good way. The taste was highly predictable with no twists and sense of adventure at all. Yes, it was chocolaty, and I appreciate the texture, but the overall taste was something I got tired of already. In short, it was boring.This probably will receive 2 starts out of 5. Uh-oh. I honestly think that the prices are very much exaggerated! Check out the cookie nibblers! 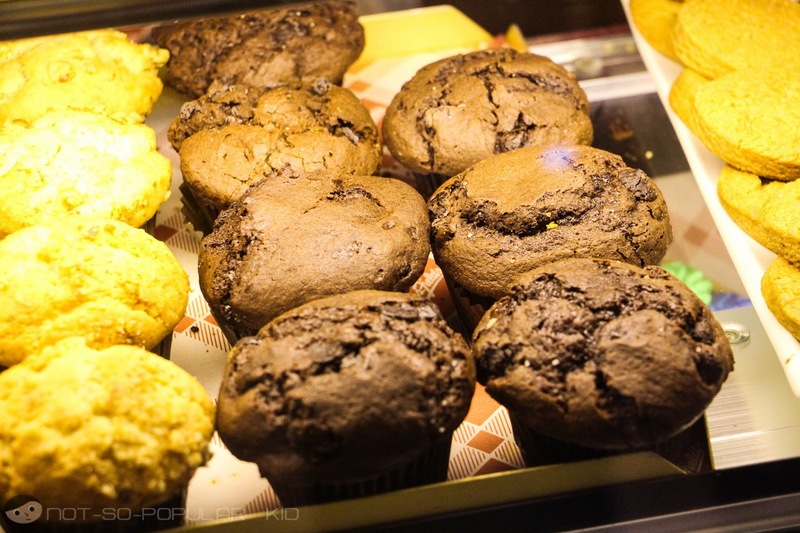 6 pieces for whooping P75! That's P12.50 a piece! Considering that the taste isn't so special, the premium placed on these treats seems to be not totally worth it! 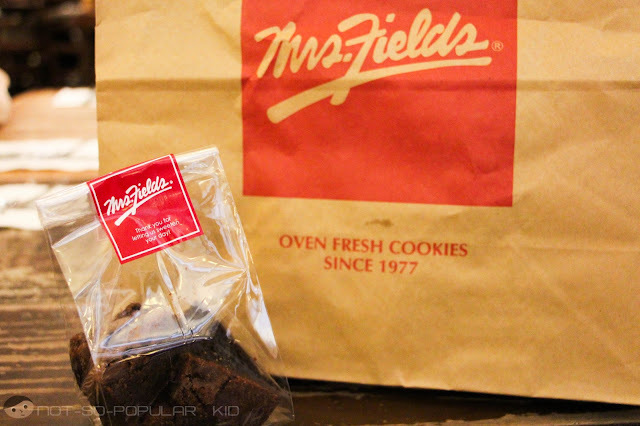 You may contest (since, again, it's a matter of taste and preference), but I personally believe that the cookies we buy in grocery stores taste way better. 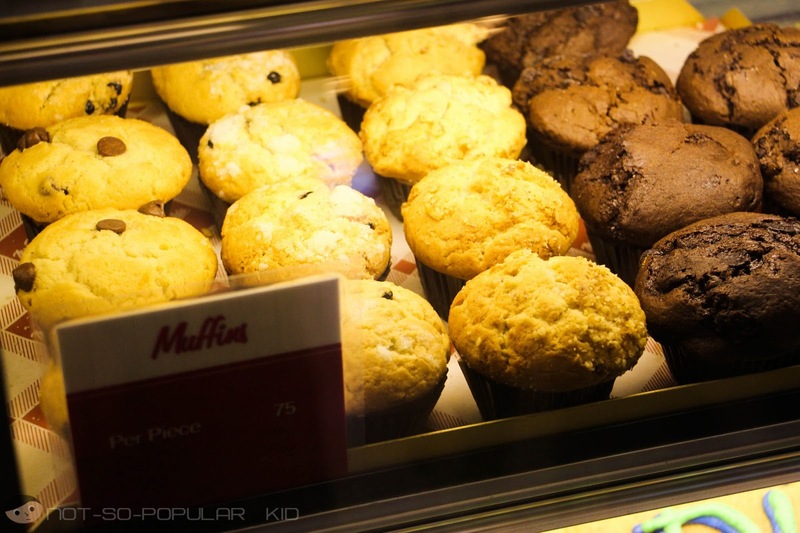 For the muffins, I think that the price is at an "okay level" due to the fact that it's difficult to find these easily on stores. Also, comparing this with that of the coffee shops, the price would seem to be somehow tame. Now that I've shared with you my thoughts, I'll conclude this blog post by declaring which of these treats are the loser/s and winner/s. How about you what do you think?